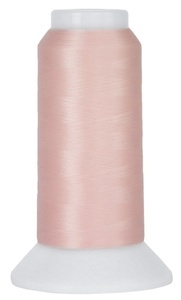 Extra-fine polyester thread designed for invisible machine applique and detail quilting. An extremely fine thread that can be sewn with a very small needle renders the thread virtually invisible. The preferred thread for micro stippling and miniatures. Recommended needle size: Superior Microtex #60/8.